Control, compliance along with competitive report serves as vital aspects that have facilitated in development of the management accounting practice. 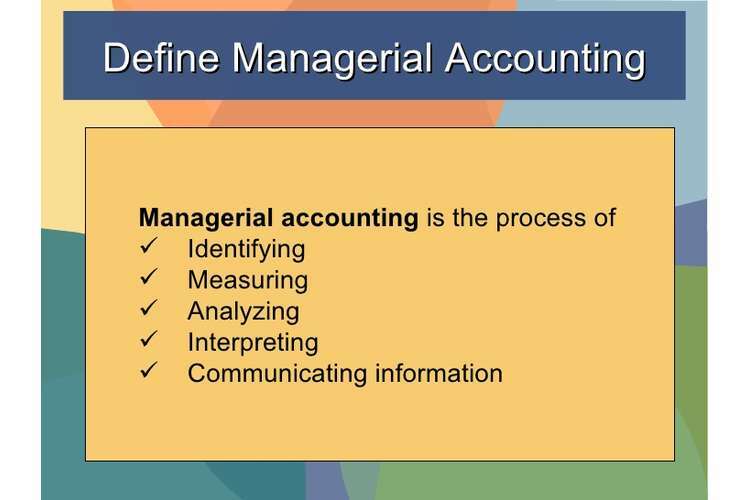 Such tradition process of carrying out management accounting practice has certain limitations that includes that they just focus on the financially based business intelligence performance measures so that the financial perspective has a considerably increased weighing in comparison to other aspects (Basuony 2014). Conversely, financial perspectives just focus on a company’s previous performances. In order to forecast an organizations future success certain important presumptions and information is deemed necessary. Moreover, traditional management accounting practices related with control, compliance and competitive report does not consider certain non-financial scopes that is necessary in attaining financial objectives. Such factors include process improvement, product development, employee motivation and qualification along with consumer satisfaction. Considering such limitations, the modern business practices an increased focus on competitive support for attaining necessary strategic objectives along with proving less focus on control and compliance (Cooper, Ezzamel and Qu 2017). Based on the mentioned statement certain factors those have contributed to development of the management accounting practice is explained below along with analyzing the usefulness of the balanced scorecard. Balanced scorecard serves as an effective management accounting technique that has several features in it in transforming and translating accounting technique. Such translation includes labelling, framing, modification along with specification of certain abstract categories along with cause-effect association. It can also be stated that balanced scorecard facilitates in developing aa balance between certain financial and non-financial perspectives that includes factors such as financial, consumer, internal business processes and learning and growth (Gibbons and Kaplan 2015). This facilitates the companies in attaining rapid and effective implementation of strategy. Perspectives mentioned in the balanced scorecard also facilitates the managers in attaining controlling tasks such as planning, briefing, driving and supervising the organizational activities. BSC offers a long-term strategic performance view rather than a short-term performance position view. Moreover, it can also widen the dilutional managers view in representing better organizational performance rather than just analyzing financially oriented view. With effective implementation of BSC modern accounting practice framework, the companies can develop certain performance measures those are aligned closely within their business strategy and offers support. Moreover, this modern accounting framework also takes into consideration consumers viewpoint that is necessary for any business (Lopez-Valeiras, Gomez-Conde and Naranjo-Gil 2015). BSC framework facilitates in promoting accountability for the reason that all the performative measures can serve as a responsibility of nominated individuals. This accounting structure brings together certain important aspects such as consumer orientation, decreasing response time, improving quality and few others within a single management report for attaining a competitive agenda. For this reason, implementation of balanced scorecard requires to be considerably easy and understandable. Balanced scorecard requires to offer its users with a set of information that addresses all the important aspects of performance in an objective along with in an unbiased manner (Lueg 2015). The aspects covered within balanced scorecard accounting practice facilitates understanding and communication of organizational strategies and objectives at every level of the company. This facilitates in maintaining effective management by objective. Another usefulness of the balanced scorecard approach is offering an effective strategic learning and feedback approach. Moreover, BSC provides guards against sub-ordination and it focuses on integrated combination of non-traditional and traditional performance measures. Maas, Schaltegger and Crutzen (2016) has explained three major advantages if balanced scorecard approach because of which it has attained increased popularity in modern business accounting practice. This framework offers a comprehensive overview of the organizational performance with an easy and rapid glance as several measures are associated with core competencies along with company’s strategy in a particular report. In addition, local optimization intends to safeguard the organization through facilitating improvement in its internal processes. This is further promoted through balancing the objective, for instance, setting time to improve financial and internal process aspects through decreasing set up process rather than increasing the batch size. BSC has the ability to ensure whether certain improvement is relied on real process or decrease in other process (Nielsen, Lund and Thomsen 2017). It just maintains measures those are associated with strategy along with financial performance measures that avoids chances of information overload within the organization. 1. Technology- Certain web-based check-in technology has facilitated in decrease of the airport expenses for Qantas. Certain officials at the no-frills stared through decreasing its airport expenses they can pass certain savings to passengers through decreasing the fares further. It saved the company the check-in time along with decreasing certain check-in employee expenses that facilitates the organization in maximizing its profits (Perrott 2015). 2. Brand- Qantas is a well-positioned brand in the airline industry. Imposing excess baggage restriction, toilet fee, charges for the credit cards, allegations for overstressing the employees, sundry legal actions along with certain other concerns offered the brand Qantas free of cost publicity. Moreover, this has also facilitated the company in promoting itself to be a low-cost airline within the all over Australia. Maintaining an effective optimal capital structure along with having a target to decrease “Weighted average cost of capital (WACC)” (Zizlavsky 2014). Offer “Return on Invested Capital (ROIC) more than WACC through the cycle. This has facilitated the company in attaining suitable capital allocation with the objective of growing invested capital in disciplined investment and economic. The security network of Qantas supports more than y 2,750 CCTV cameras, over 3,000 access-controlled doors and over 20,000 alarm points of numerous types all around the world. This encompasses critical door alarms which facilitate in attaining enhanced security system within the organization. All the alarms set within the airlines are supervised that offers the company in attaining better risk management. Core competences of the company has increased by 12% this year as Qantas has been able to develop its set of skills and technologies in offering superior consumer service (Perrott 2015). The company has developed effective and non-imitable practices that has offered an enhanced organization’s competitiveness. 1. Supply strategy- Qantas has announced that the company will eliminate more than 80% of its supply base. Implementing this strategy can facilitate the company in decreasing its organizations suppliers rolls for its recent 3000 to just 500 in order to decrease its material expenses by 1 billion. Supplier consolidation has also decreased certain administrative expenses by further 235 million (Nielsen, Lund and Thomsen 2017). 2. Support strategy- Rather than positioning itself as a renowned business unit developing an integrated consumer support can facilitate in making the airlines highly attractive. In order to develop a network “Maintenance, repair along with overhaul” in ensuring network maintainice. 1. Financial Perspective- The company will develop its strategies and implementation of bottom line improvement in attaing suitable financial objectives. Through attaining the long-term goals Qantas, the company will be able to attain 10% revenue growth in the future years (Cooper, Ezzamel and Qu 2017). 1. Basuony, M.A., 2014. The Balanced Scorecard in large firms and SMEs: A critique of the nature, value and application. Accounting and Finance Research, 3(2), p.14. 2. Cooper, D.J., Ezzamel, M. and Qu, S.Q., 2017. Popularizing a management accounting idea: The case of the balanced scorecard. Contemporary Accounting Research, 34(2), pp.991-1025. 3. Gibbons, R. and Kaplan, R.S., 2015. Formal Measures in Informal Management: Can a Balanced Scorecard Change a Culture?. American Economic Review, 105(5), pp.447-51. 4. Hansen, E.G. and Schaltegger, S., 2016. The sustainability balanced scorecard: A systematic review of architectures. Journal of Business Ethics, 133(2), pp.193-221. 5. Lopez-Valeiras, E., Gomez-Conde, J. and Naranjo-Gil, D., 2015. Sustainable innovation, management accounting and control systems, and international performance. Sustainability, 7(3), pp.3479-3492. 6. Lueg, R., 2015. Strategy maps: the essential link between the balanced scorecard and action. Journal of Business Strategy, 36(2), pp.34-40. 7.Maas, K., Schaltegger, S. and Crutzen, N., 2016. Integrating corporate sustainability assessment, management accounting, control, and reporting. Journal of Cleaner Production, 136, pp.237-248. 8. Nielsen, C., Lund, M. and Thomsen, P., 2017. Killing the balanced scorecard to improve internal disclosure. Journal of Intellectual Capital, 18(1), pp.45-62. 9. Perrott, B.E., 2015. Building a sustainable organization behaviour: an integrated approach. Journal of Business Strategy, 36(1), pp.41-51.